Originally founded in 1938 the NSW Police RSL sub-Branch was set up to represent members of the NSW Police Force who had seen active military service in the Great War (1914 - 1918). 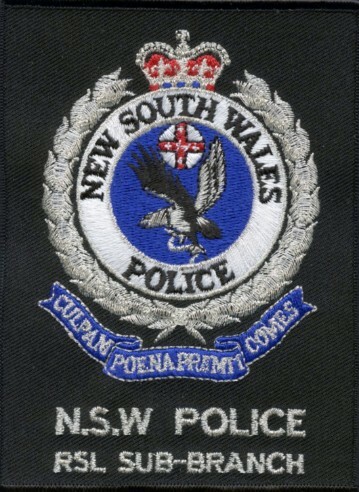 The NSW Police RSL sub- Branch represents all current members of the New South Wales Police Force and/or Police Forces of other Nations, and those members who are retired or honourably discharged from such Police Force, providing they have served in the Australian Defence Force, or served with or supported, or was otherwise engaged with the Australian Defence Force, or the Armed Forces of its Allies for at least 6 months. The sub-Branch also represents all current and former members of those Police Forces who have been deployed overseas with various United Nations or international peace keeping operations.